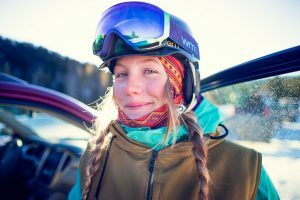 Bozeman, MT – Most people have a hard time following one dream, but Rachel Pohl is following two. 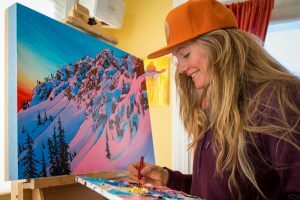 Only in her early 20s, she has already created a career by combining the two things she loves most—painting and backcountry skiing. During the winter months, Pohl spends her days trekking up and skiing down Montana’s snow-covered mountains, all the while searching for her next landscape to paint. Her use of vibrant colors defines her signature, mixed-media style of art. It also embodies her outlook on life. 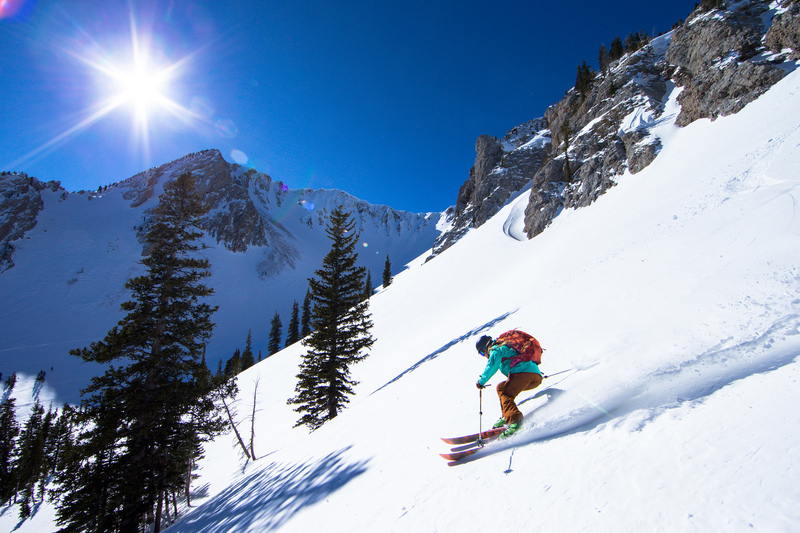 She approaches a day skiing in the Montana backcountry in the same way that she starts a painting: with a blank white canvas. A graduate of Montana State University in Bozeman with a degree in Studio Art, Pohl somehow finds time between countless ski days and her painting to also teach art lessons and volunteer with at-risk youth. She appeared in MacGillivray Freeman’s National Parks Adventure that hit IMAX screens in February, also featuring climbers Conrad Anker and Max Lowe with whom she traveled to Alaska’s Denali in 2013, and narrated by Robert Redford. She also created a Montana license plate for the non-profit American Rivers. Her artwork can be seen online at www.rachelpohlart.com, and it has also appeared on balaclavas, hoods and neck gaiters manufactured by BlackStrap, and t-shirts from Discrete. 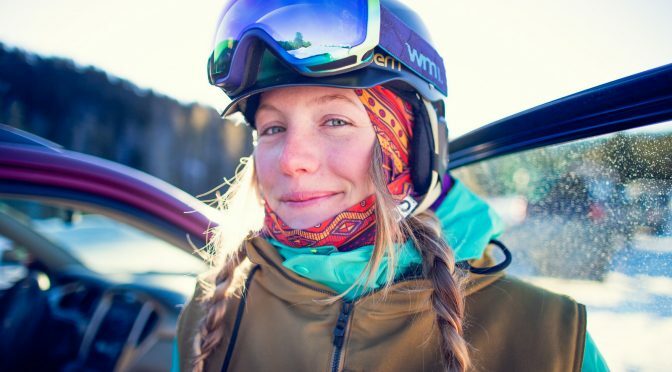 Pohl’s unique lifestyle also recently caught the attention of the Montana Office of Tourism and Businesss Development, which elected to tell her story in Alpen Glow, the latest installment in the Office’s The Sky’s the Limit campaign of short films. Alpen Glow follows Pohl as she makes her way up and down the Bridger Mountains, one of the state’s most beautiful mountain ranges, then back to her studio in Bozeman, where she turns her experience into a work of art. Despite her youth, Pohl has already been to many places that will forever only remain on most people’s bucket lists. Her quest to visit even more wild places across North America will assure her artistic inspiration for many years to come.